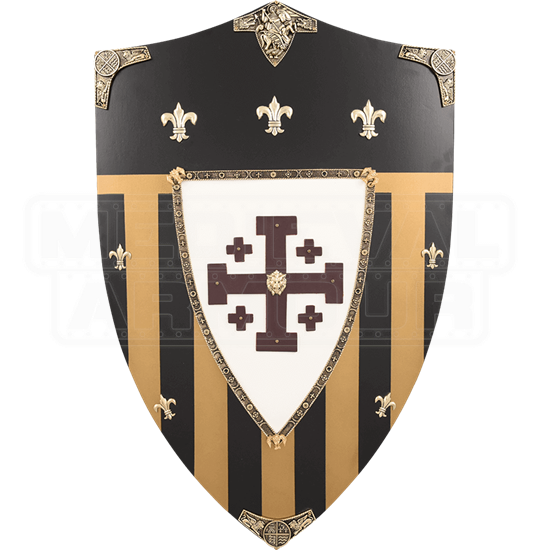 This ornate, full sized shield by Art Gladius bears the Jerusalem cross. Crafted in Toledo, Spain, the shield is made of wood. The Jerusalem shield is highly decorative on the front making this piece great for home decor. 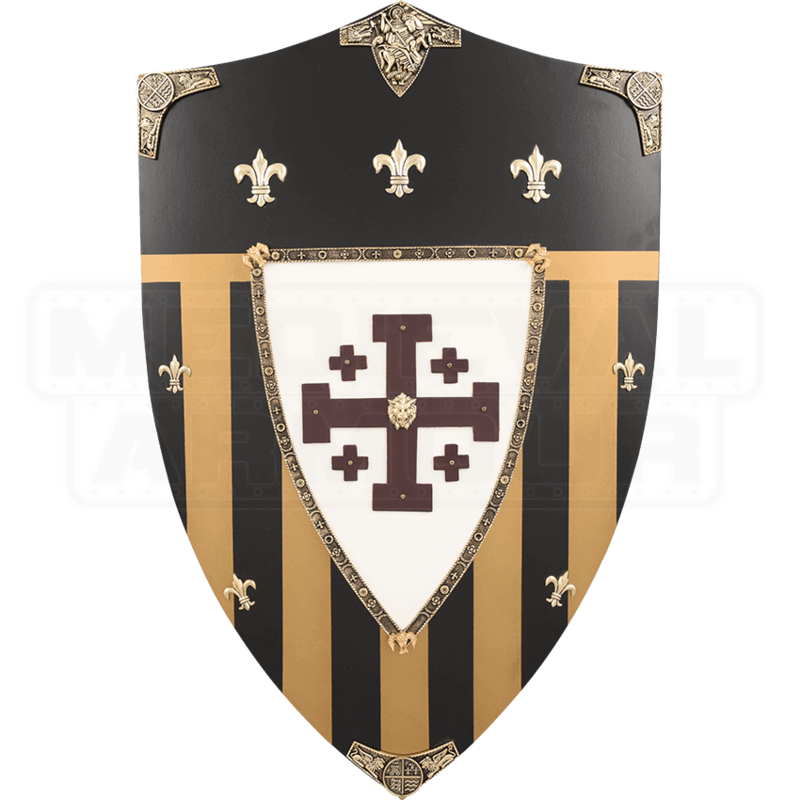 The Jerusalem wooden shield is great for theatrical productions and medieval reenactments.